People may wonder why they should care about what Rio Tinto is doing to indigenous peoples overseas. What difference does it make to us? The world has become a very small place. Environmental damage done in one part of the world can and does affect the environmental well being of other parts of the world. That’s how global warming works. We have to see ourselves as one humanity, facing one future, affected by our acts as a species. The damage we do to one another makes it almost impossible for us to see we are one global family. And as a family we need to cooperate in order to ensure everyone’s survival in the future—and I do mean everyone, privileged white anglo saxon males as well. Rio Tinto has maintained various “philanthropic” programs when it comes to Australian aboriginal peoples. However, anything they do here is more likely to be seen by Australians, who can call upon the government to curb Rio Tinto behaviour. You can only behave so badly inside your own country. Other people’s countries, on the other hand, have been disgracefully pillaged by various empires since the beginning of “civilisation”. These sorts of circumstances are what brought about the rise of Mohandas Gandhi, as he worked to free India from the British Raj. resources which they have traditionally owned, occupied or otherwise used or acquired. This UN Declaration was adopted by a majority of 143 states in favour. The deeply saddening fact is who voted against this well thought out document: Australia, Canada, New Zealand and the United States. We should be embarrassed and ashamed of our culture. (2) No one shall be arbitrarily deprived of his [sic] [recte their] property. The San Carlos Apache are having their sacred ground in Oak Flat Arizona arbitrarily taken without recourse. Whenever anyone is being deprived of their human rights, we should be concerned. Whenever Australians are involved in the abuse of peoples here and abroad, we should be concerned. A national character that accepts abuse as a regular means of relating to people who are “other” is going to ultimately damage everyone’s world. According to the Museum of Australian Democracy: “Australia’s system of government—its institutions and practices—reflect British and North American traditions combined in a way that is uniquely Australian.” It is important to note that US democracy was in fact modelled not so much on Grecian democracy but upon the governmental system of the Haudenosaunee Confederacy: a group including the Mohawk, Onondaga, Oneida, Cayuga, Seneca, and Tuscarora nations. Benjamin Franklin in particular was much influenced by these peoples. Whether Australians know it or not, they owe American Indians a certain debt of gratitude. I recently spent some time in the US. Sadly, not Oak Flat. 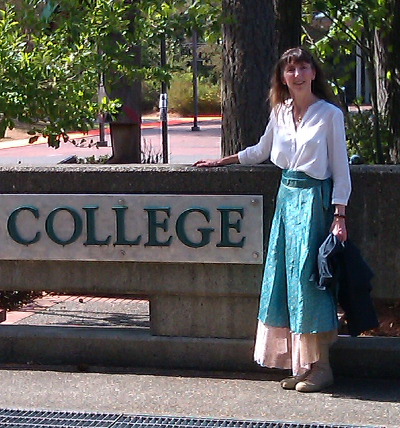 I did have a chance to meet with the deans at Evergreen State College in Washington State. 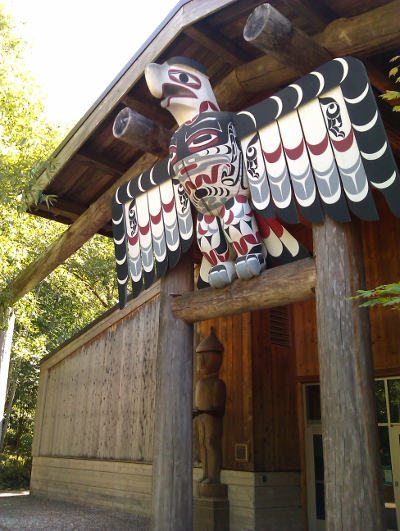 This higher education institution has an impressive Native American Studies program and I fell in love with House of Welcome Longhouse Education and Cultural Centre.